We all know that there are certain ‘types’ in any group, but this is never more prominent than the boys that get together for a stag do. Stag dos bring together all kinds of people, some of which might not know each other, and is a time when you really see who’s who in the group. We asked you to find out which member of the stag party you would be in our fun personality quiz. Were you The Sensible One that hit the hay early, or The Boozehound that could always be found ordering “just one more round” at the bar? 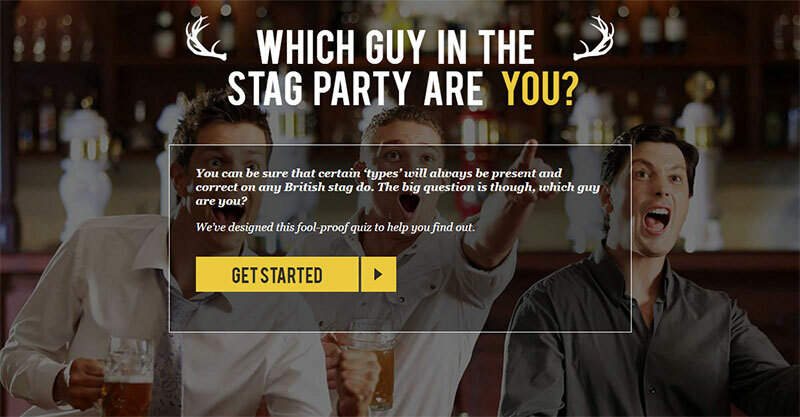 If you haven’t already taken the quiz to find out your Stag Style, you can still do so here – and don’t forget to send it to all your mates who are heading on stag dos themselves this summer! We’re happy to announce the lucky winner of this competition – winning paintball for themselves and 5 friends – is Liam Pinder! Well done Liam, we hope you enjoy your paintballing experience at Mayhem. And if you didn’t win but you’re still looking to plan a paintballing day out for a stag do in London / Essex, get in touch with us to discuss our packages – we’re stag and hen do friendly and would love to show you and your party a great time!